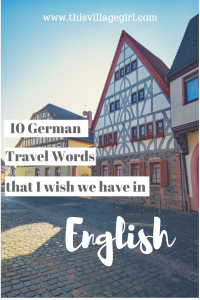 10 German Travel Words That I Wish We Have in English. Okay. I am not a native English speaker but breathing English since birth makes me feel like one. Sure, moving to Germany and learning this awful language according to Mark Twain, I can now agree that whoever didn’t study it doesn’t have any idea how difficult it is to acquire it. As I eavesdropped my way to somehow understand it, I found myself developing a love-hate relationship with it. Most of the words actually don’t make sense when translated to English but diving deeper into it gave me more reasons to be fond of it especially these travel words that don’t have English counterpart. 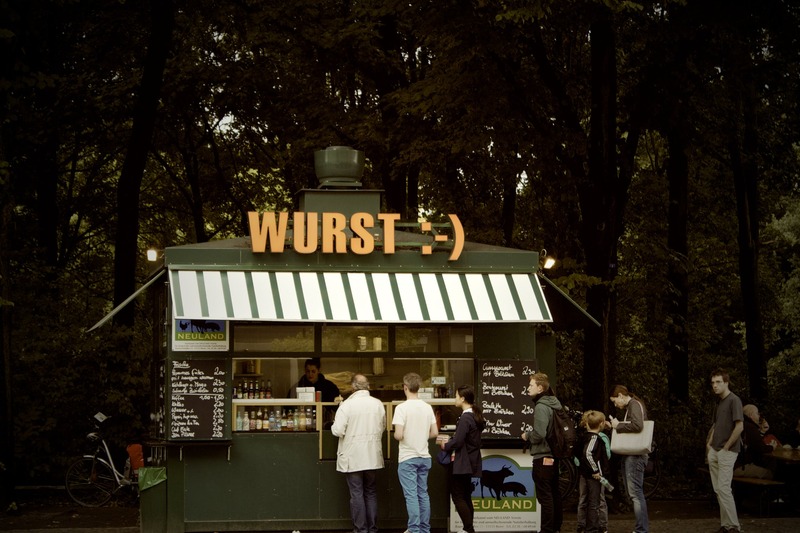 With these words, I cornered my German boyfriend one Sunday morning after breakfast. I don’t know if he is just like a typical guy who doesn’t want to discuss nerdy, stupid things like this or it was too early to think in second language. Sure, I was able to force some answers from him but being a bonafide German speaker who uses it as verb and adjective, I felt that it will make more sense to ask my Filipino cousin who grew up in Germany who can easily switch to Tagalog, English and German seamlessly. 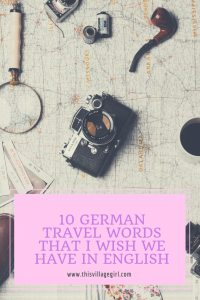 Fact: did you know that our favorite travel word came from German words, wander which means to hike and lust which means desire. So wanderlust is actually the desire to be with nature through hiking that is now a very popular term to describe endless desire to travel. I guess this should really be the English equivalent of Wanderlust. 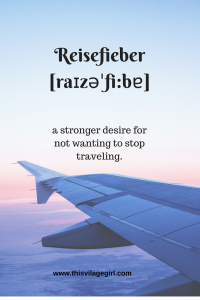 Reise means travel and Fieber is fever the sickness. My sources said Reisefieber is stronger. This isn’t just that kind of sickness you feel after your last trip and the pain of excitement for the next but emphasizes a stronger desire for not wanting to stop traveling. 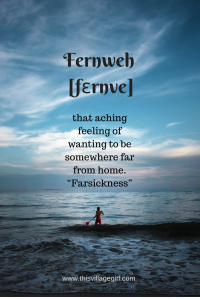 Fern means faraway and weh means sore or painful. This is the antonym of “homesickness” but this is that aching feeling of wanting to be somewhere far from home. “Farsickness” could be the more fitting word if that ever exist. 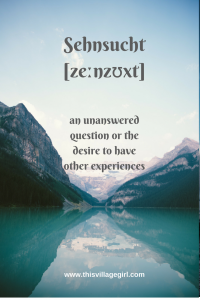 Sehn is to see and sucht is addiction or obsession and when put together, doesn’t just mean craving but also a longing, an unanswered question or the desire to have other experiences or deeper meaning. Kopf means head and Kino is cinema or movies. 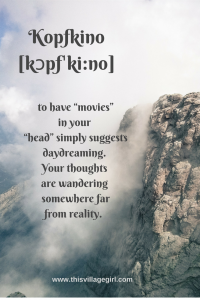 I would say that this doesn’t have a lot to do with traveling but to have “movies” in your “head” simply suggests daydreaming. Your thoughts are flying somewhere far from reality. From Zeit ‘time’ and Geist ‘spirit’. German Philosophy rooted from the 18th to 19th century that translates to “spirit of the age” or “spirit of the times”. This is that feeling of being in a different era and traveling through times. Tor is gate, schluss is closed and panik is panic. Etymology says to close the city gates at night for safety and whoever comes late has no choice but to stay outside to be exposed to dangers. When translated to English, this means that fear of not having enough time to achieve your goals. Though not really a travel word, this means the talent to quickly learn a language. 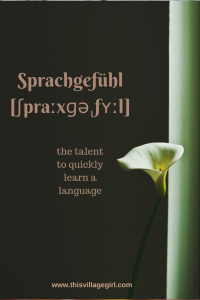 Sprach is to speak and Gefühl is feeling or simply the feeling of a language. While the Germans who witness how I murder their language say I have talent with languages, I still disagree. I push myself so hard to learn because I realized that just to travel is not what I am after but culture. And to understand culture, knowing the language is essential. 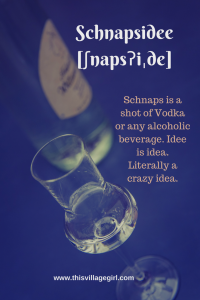 Schnaps is a shot of Vodka or any alcoholic beverage. Idee is idea. Literally a crazy idea. How many stupid things have I done just because I got drunk? Sure alcohol has made my English and German way better but Schnapsidee is not a travel word. Who knows, the next best Schnapsidee will bring me to where I really belong. I asked a German what will he do if he was told to prepare something gemütlich and he said he will prepare the sofa with nice pillows, light some candles and watch some movies. He said he will wear sweat pants and get ready to just relax and enjoy the romantic atmosphere. 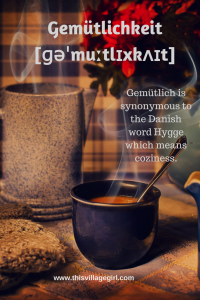 Gemütlich is synonymous to the Danish word Hygge which means coziness. Wikipedia said that Gemütlichkeit was derived from gemütlich, the adjective of Gemüt, which means “heart, mind, temper, feeling” expressed by (and cognate with) English “mood”. 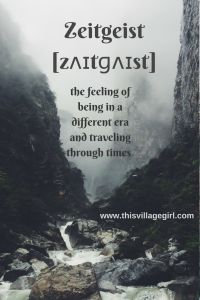 Though not a travel word, gemütlich is now one of my favorite beautiful German words. I’d love to learn from you. What are your favorite beautiful foreign travel words? How cool! Some of these gave me goosebumps while reading! I had some goosebumps while writing too. =) thank you for reading. I love learning new words!! If only I could pronounce them….lol Thanks for posting this, I enjoyed the read! I’ve been to Germany many times before, and it always seems like they are yelling. Even when they just start a conversation, they are like shouting. I don’t know if it’s the culture or pronunciation, but it’s weird when you come from a country where everyone speaks in a monotone way. German people are lovely, nothing to say about that. But I’m sure I will not ever be able to speak fluent German. 🙁 I always try, but whenever I try something else then ‘ich’ , my mind says it’s physical not possible haha. Btw, I love the word viajando. Which is Spanish for ‘to travel’..
Dutch is also very difficult. I have tried Dutch and I’ve lasted 2 days. lol But you’ll learn German faster than I will for sure because it’s nearly the same with Dutch. This is so cool! I love learning new words but these are a little hard to pronounce. Haha, not going to stop me from trying though! I love Zeitgeist the most! and also Gemütlichkeit! 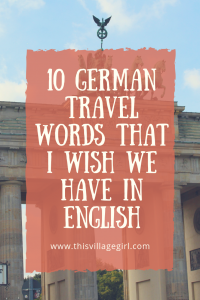 I actually studied German as a kid in Finland–so fun to see these words and hear their meanings! 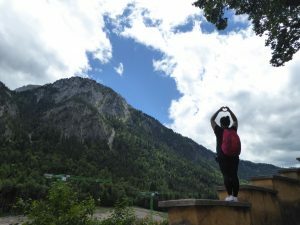 I would love to study it again and then travel to Germany, but I know it would be much more difficult as an adult! You’re right. I’m struggling with German as an adult learner but it makes more sense than acquiring it younger. I would love to see Finland too but I’m sure if I will learn the language. I’m sure it is as hard as German. I use to travel quite a lot, and every time I go to a new country, I try learning the basics. I’m usually doing this with a language learning app (I’m currently using Mondly premium) but also with the help of Google translate. 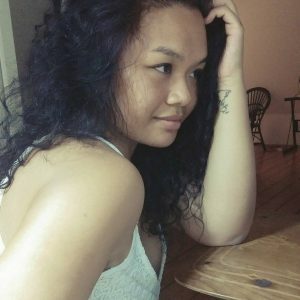 I usually have a set itinerary, so I know beforehand where I’m going and what I need to learn. So I usually prepper in advance with words and phrases for hotel interactions, taxi interactions and so on. 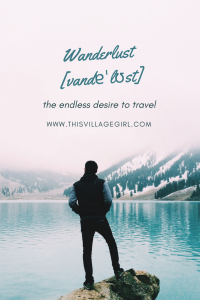 Oh my God, I actually was not aware of the fact that Wanderlust is a real thing in English! Now I finally understand better why I kept seeing it used in English! Funny words though, some of them I didn’t even know! 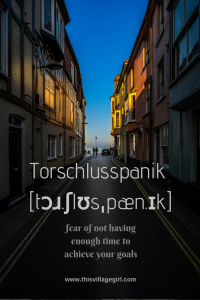 Torschlusspanik for example… I have never heard it before, but I somehow like that word…! Previous Post How Not To Write “About Me” in Your Website Page. 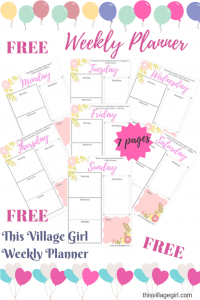 Next Post The Love We Give: Self-Care Give Away.